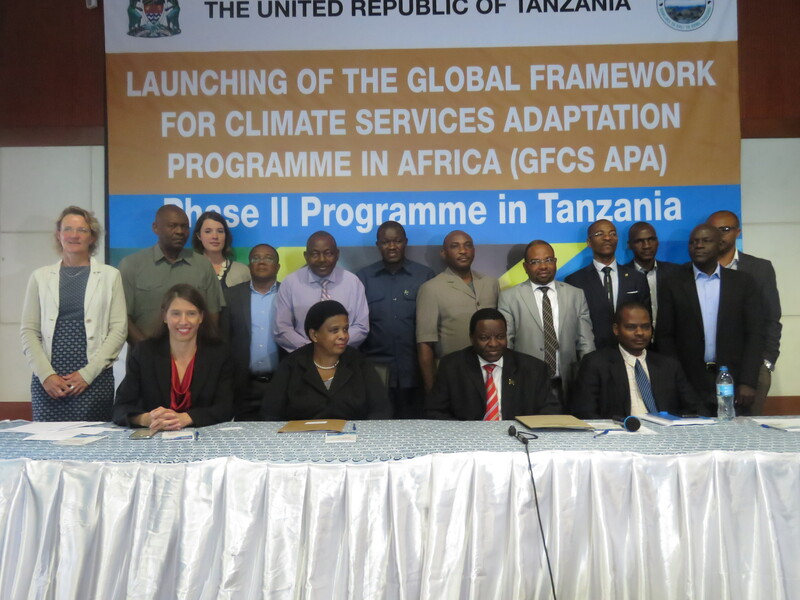 The World Meteorological Organization (WMO) in collaboration with Tanzania Meteorological Agency (TMA) organized a workshop for launching of the Global Framework for Climate Services Adaptation Programme in Africa (GFCS APA) Phase II, on 18th September, 2018 at Golden Jubilee Tower, Dar es Salaam. The objective of the event was to kick-start the implementation of GFCS- APA Phase II. 57 participants attended the event from various institutions comprising of 47 males and 10 females. i. Capacity should be enhanced for both providers and users of climate services. ii. Sustained dialogues between providers and users of climate services need to be enhanced. iii. Downscaling of climate information, including seasonal forecast should be sustained to enhance applicability of climate information. iv. Observation network need to be enhanced for generation of high resolution climate information. v. Technical challenges in the FarmSMS system need to be solved.